Love Kashi cereals? 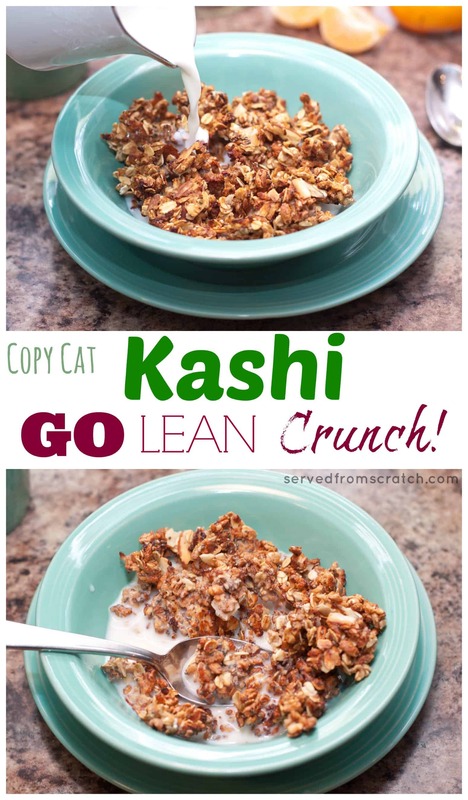 Did you know that you can make your own Copy Cat Kashi Go Lean Crunch Cereal at home? It’s easier than you think! I love cereal. Like really love it. Awhile back I fell in particular love with Kashi’s Go Lean Crunch Cereal. 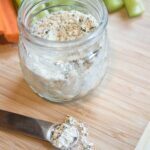 Not only did it hit all the right notes: crunchy with just the right amount of sweet, but it was super healthy. Whole grains! Protein! Fiber! 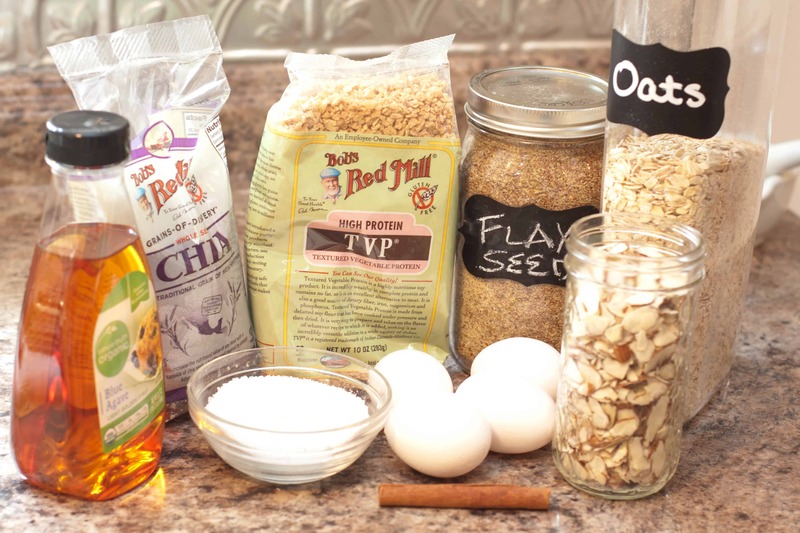 All the other good for you stuffs that you wont find in a box of Cheerios. But since going to our From Scratch lifestyle, when I’ve had a cereal craving, I’ve just made granola. Until one day I made the mistake of making eye contact with the Kashi Cereal in the grocery store and it was on sale, and so I caved. I bought some and I ate some and realized that although it’s close, it’s just not the same as granola. 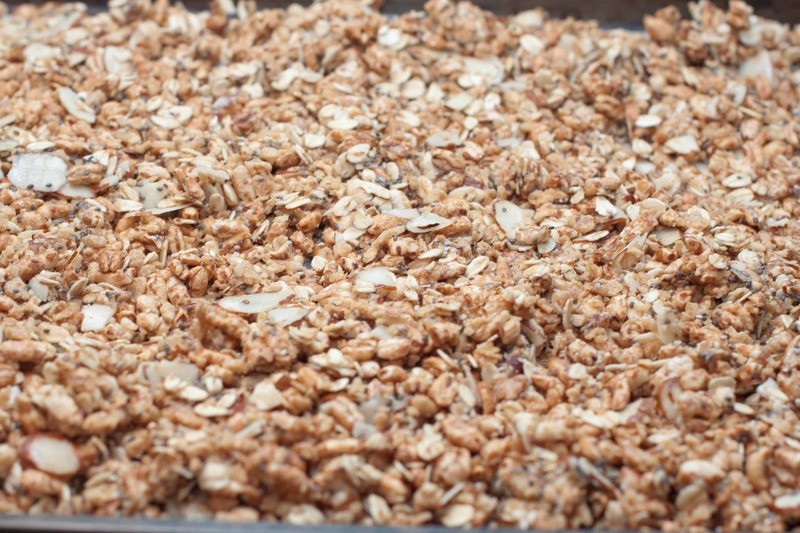 Then I realized: if I could make granola from scratch, why couldn’t I make this from scratch?! 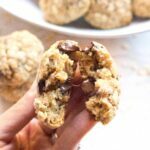 Turns out, you totally can, thanks to this recipe I found on Fit Mama Eats! Especially when there’s Bob’s Red Mill who can totally answer your question, “what the heck is TVP? !” Total Vegetable Protein, by the way. I had no idea either. The first batch I made I couldn’t find puffed barley so I substituted all oats. It was ok, but it was not the same; it was a lot like the granola I was trying to replace. 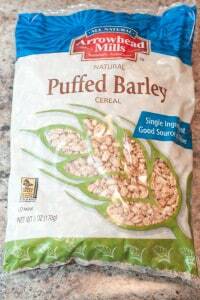 So then I went on a hunt for puffed barley. And by hunt I went to one New Seasons and when I couldn’t find it there I went to Amazon and bought it there because Amazon Prime is the lazy shopper in me’s best friend. Then I whisked the egg whites with the agave syrup (maple syrup or honey would have worked well too) and mixed it all with the dry ingredients. Don’t throw away those egg yolks though! Put them aside to make some Mayonnaise! Or even better, some Chocolate Pudding from scratch. baked at 350 degrees for 12-15 minutes, then rotated and flipped for another 12-15 minutes. 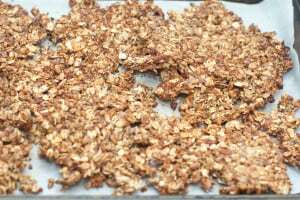 You’ll get nice big clumps of the ‘crunch clusters’- make sure that when you flip it they lie flat on the baking sheet to ensure even toasting and ultimate crispiness. 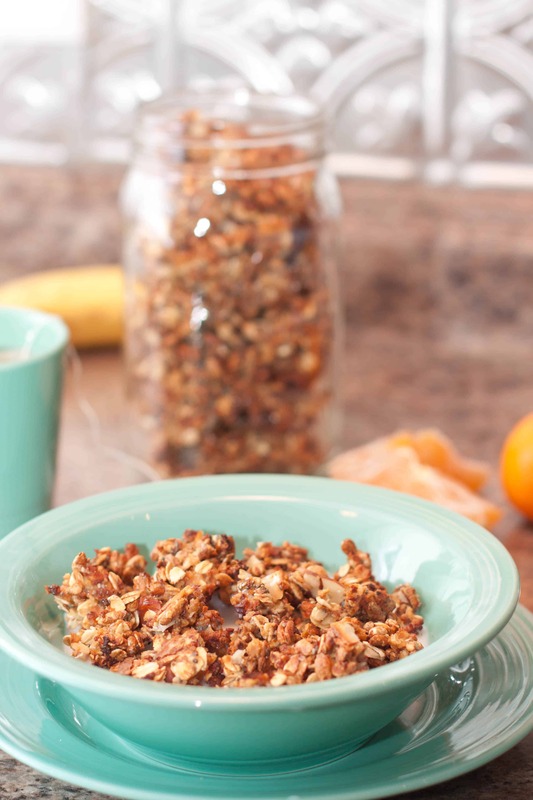 Kashi's healthy, crunchy, sweet cereal made at home! 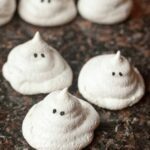 In a separate bowl, whisk together the egg whites and sweetener. Add to dry ingredients and mix very well, ensuring all is coated with egg whites. The egg whites act as a binder which is what gives you the crispy nuggets of goodness. Line a baking sheet with parchment paper and add mixture in an even layer. Bake in middle rack for 12 - 15 minutes (check for crispy level), then remove from oven and flip cereal. Here is where you'll have large chunks - flip them but ensure that you rearrange so that it lies flat again to the baking pan. Bake for another 10-13 minutes. The use of TVP is really interesting, but not too strange to me. 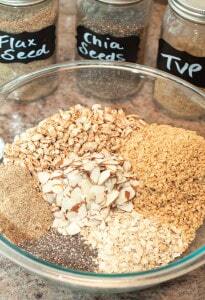 The rehydrated stuff is pretty neutral so I can see using it in this application. Glad to learn about a new preparation. 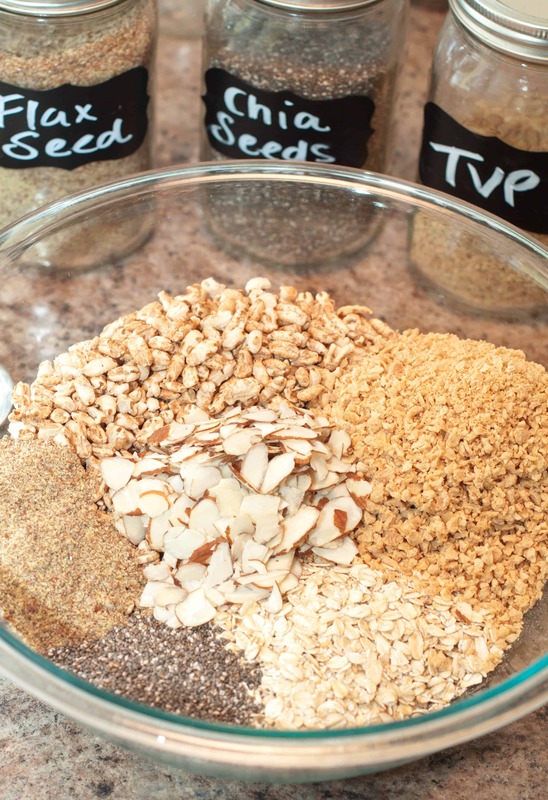 Thanks for sharing this method of making one of our favorite foods from scratch! 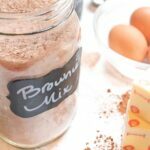 We have many of these ingredients in our pantry and I’m mixing up some right now! 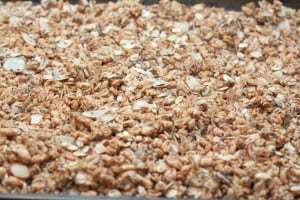 There is such a wonderful difference making your granola at home. I always like adding extra protein to it — I’ve never used TVP before — I’ll be looking into it. Thank you. I love Kashi cereal too. I can’t believe there is TVP in this! That’s sounds so crazy as usually it’s used to replace meat in vegan recipes. LOL. Very creative! Haha as someone who’s never used it before, that’s what I’m learning! Would never have thought it could be used in so many ways! What a great idea. 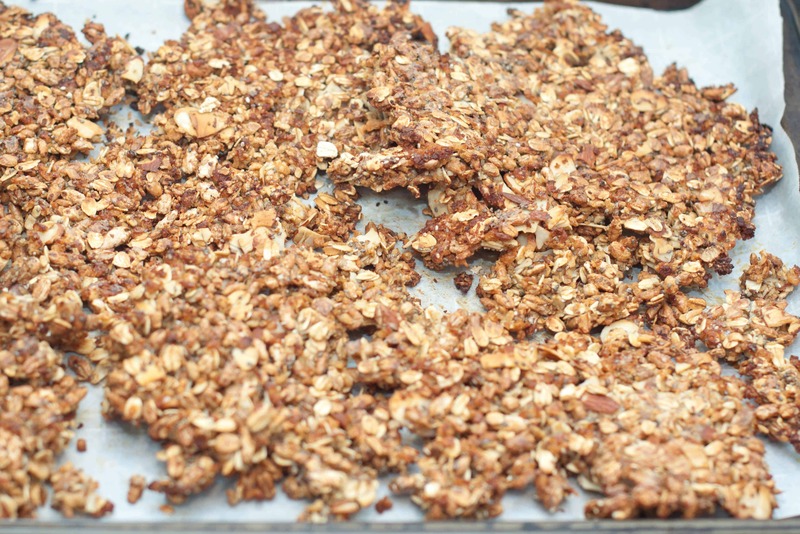 If you can make granola then why not Kashi. This is the perfect way to start the day. And homemade is so much better. 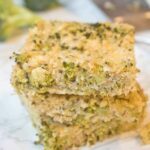 Oh Tracy I love your gourmet healthy recipes! you made my day! 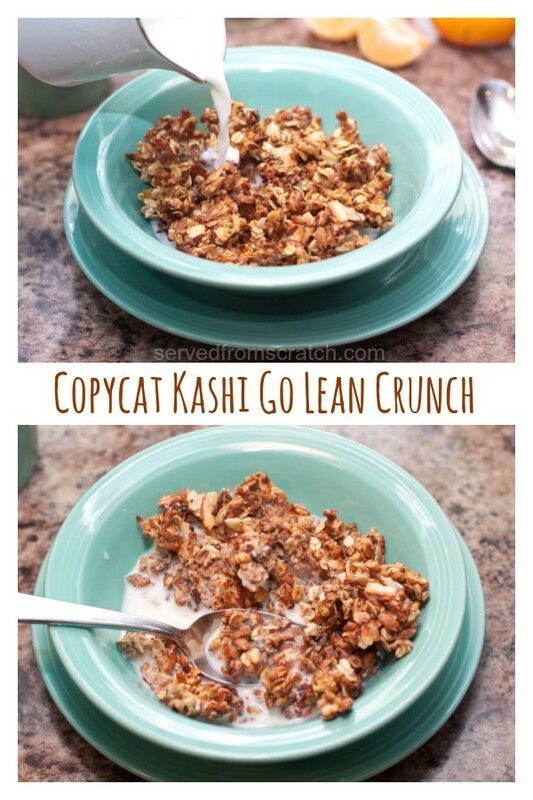 I love Kashi Go Lean Crunch cereal, what a great idea to make your own, it looks delicious! What a great recipe! I loved that cereal! Amazon Prime to the rescue! They have saved me many times. This looks great! 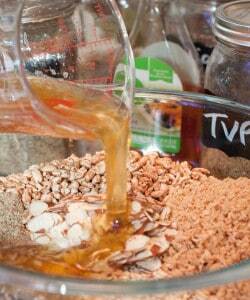 I love the idea of making your own cereal. I like the ability to control the ingredients and add only what I want. Thanks for sharing! Right? I love Amazon Prime and I’ve also lately used Prime Now which has been awesome, too! Tracy, what do you think about price comparing? Because even when all the Kashi cereals are on sale at the grocery store, this one is NOT! My husband loves it though. Do you think this one is more cost effective than a box? Wow Tracy, you’ve done it again! 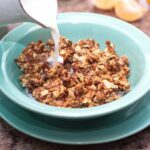 I make homemade Granola all the time. 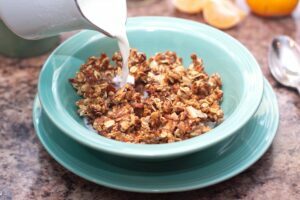 You have definitely put a new twist on homemade cereals! TVP I used WAY back to stretch a dollar and make nutritious meals. This is so creative and looks like something our family would enjoy! 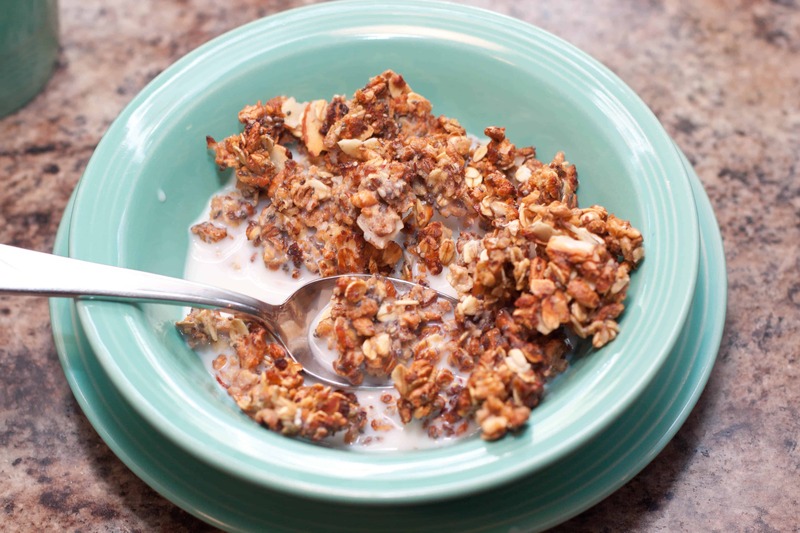 I don’t usually do cereals in the morning but would to try this recipe! Sounds really good! We eat a lot of cereal in my house. We often have it for dinner after a really busy day. This sounds just divine! girl u made barley look good!! Perfectly healthy bowl of cereal.. Yum! This looks amazing Tracy!! I love making cereal at home, but haven’t done it in YEARS! 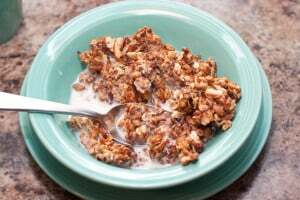 I haven’t had Kashi cereal, but I know I can make it at home instead! 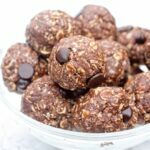 I might just have it as a snack instead of as a breakfast! This is great! That is one of my favorite cereals! Oh wow, I’ve got to try this! I haven’t been able to find Kashi cereal since moving to London. Yum!